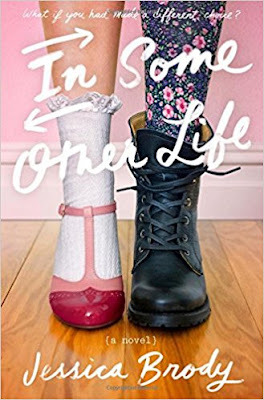 Synopsis: I’ve finally been able to get back to some pleasure reading after a long stint of Cybils reading (which has now slowed down), and I picked up Jessica Brody’s In Some Other Life for a bit of fun escapism—and I was not disappointed. 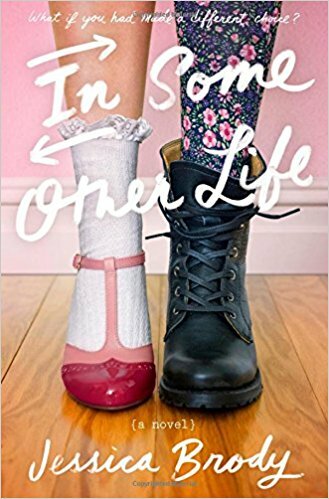 As you might know, I enjoy fiction about parallel universes; this one follows high-achieving Kennedy Rhodes, superstar of the student newspaper at Southwest High. Her life seems great: cute longtime boyfriend, supportive family, ever-loyal best friend, and high hopes for getting into the Columbia journalism program. Her only secret regret is that she didn’t attend the prestigious Windsor Academy, which sends 89 percent of its graduates to Ivy League schools. Observations: This book was, above all, tongue-in-cheek funny. In some ways it felt like something I’d pair with my book The Latte Rebellion in terms of tone and style, as well as underlying theme—a well-meaning, earnest, but flawed main character gets caught up in circumstances beyond her control, and has to own up to her decisions in order to truly make good. While Kennedy isn’t perfect, sometimes to the point of being annoying, her imperfections are completely relatable, and are in fact necessary for her overall growth. I did end up guessing the big story twist relatively early on: the clues were clear and it seemed fairly obvious that alternate-Kennedy was up to something, and so I assume the reader is meant to realize what’s going on before the narrator does. That was my only quibble with the story, though. The way everything wraps up was very satisfying, and I enjoyed how the various loose ends are dealt with, leaving things just a bit open-ended. And, as a bonus, the chapter titles were really fun. Conclusion: This was a highly enjoyable story, with good pacing that kept me wanting to read it even when I probably should have been reading more Cybils finalists. Recommended for fans of paranormal and/or spec fic with a humorous twist. I received my copy of this book courtesy of my library’s ebook collection. You can find IN SOME OTHER LIFE by Jessica Brody at an online e-tailer, or at a real life, independent bookstore near you! Previous PostHappy New Year–and Happy Writing!